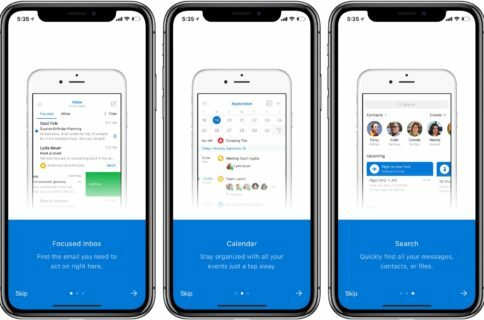 Microsoft’s Bing for iPhone app was updated last evening with several new features such as Bing Interests, Bing News, a private searching mode, the Popular Now section on your Apple Watch and other enhancements. I typically use Google’s native search app on my iPhone, but Bing saw some rather interesting improvements in recent months. In my personal opinion, Microsoft’s search-based app is better designed than Google’s with richer descriptions and prettier images. More importunely, Bing’s popular searches feature produces way more relevant results than Google, at least for me. Bing Interests helps you stay up to date with personal interests like news, stocks and local weather, so you always have the latest information on the topics you care about. 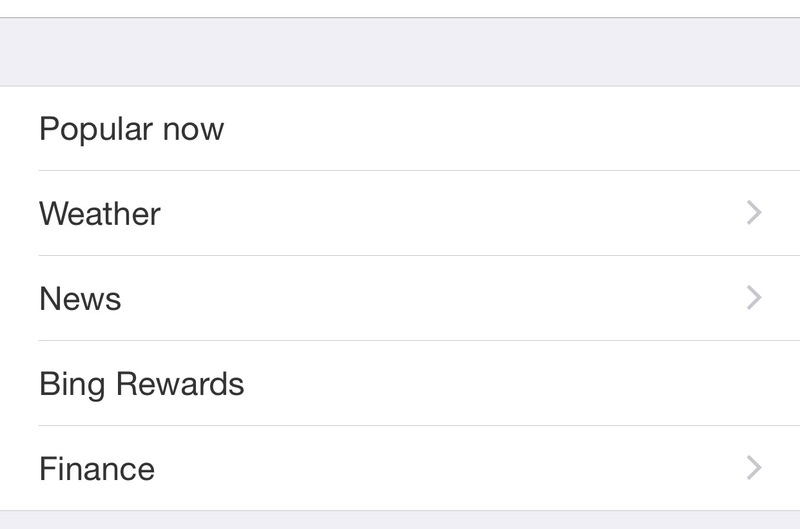 Manage your Bing Interests in the Manage Cards and Interests section within the iPhone app. Any changes made to Bing Interests within the iPhone app will synchronize seamlessly across mobile and desktop for logged-in users. 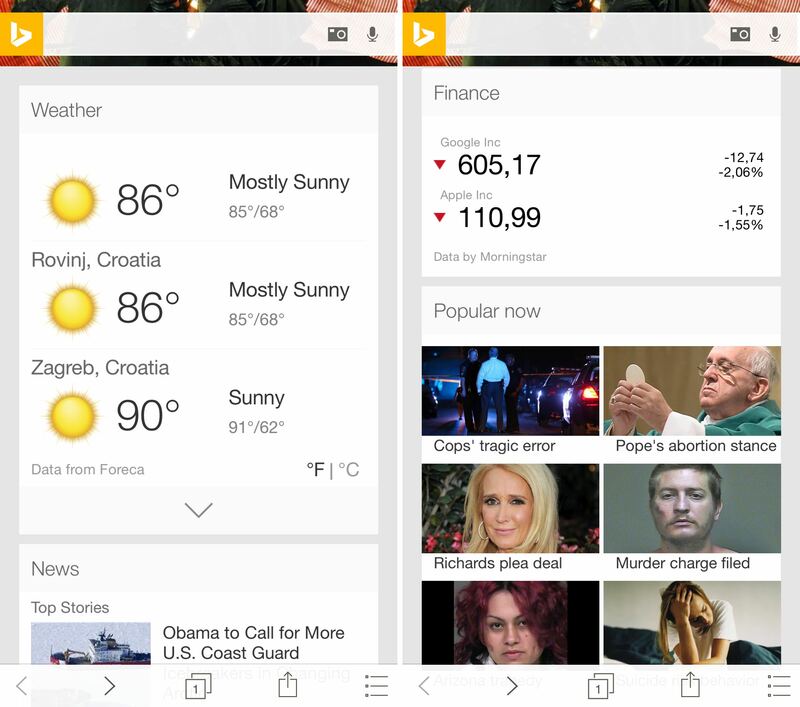 With Bing Interests, updates on news, weather and other topics of interest appear as cards on Bing’s homepage. You can add news topics to follow, cities for weather information, ticker symbols for stocks you follow and more. Additional information and useful tips on personalizing your experience with Bing Interests can be found in Microsoft’s FAQ. Keep in mind that the Bing Interests feature is region-dependent and may not be available in your country of residence. 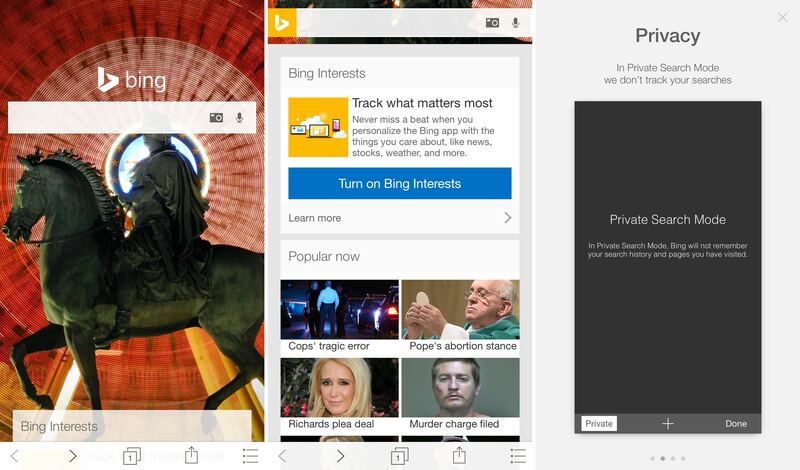 At last, a private-browsing mode can now be used within Bing for iPhone. Those who share their device with family members may want to turn on Private Search Mode in settings to keep their searches and webpages visited private. You can enter Private Mode through in-app settings or by tapping on a handy toggle located in the search box, similar to Apple’s Safari in prior versions of iOS. Bing’s News section now lets track custom topics by entering keywords, with related stories now being connected with smart tags. And if you own an Apple Watch, you will be able to check out stories making rounds in Bing’s Popular Now section right on your wrist. Bing Interests: Never miss a beat when you personalize the Bing app with the things you care about, like top news, stocks, weather, and more (not available in all countries). Apple Watch: See at-a-glance what’s trending on the web with Popular Now on your Apple Watch. Bing News now helps you connect related stories with smart tags. Track the news topics you care about by adding them to your interests. Private Search: We’ve made it easier to switch to Private Search Mode when typing your queries with an easy toggle in the search box. Bing for iPad wasn’t refreshed with these new features. The 31.9-megabyte download, Bing for iPhone requires an iPhone or iPod touch with iOS 7.0 or later. The app is fully optimized for the iPhone 6 and iPhone 6 Plus and localized in English, Japanese and Simplified Chinese. The software includes a WatchKit component with a glance and an Apple Watch app providing an overview of trending stories within the Popular Now section. Grab Bing for iPhone at no charge in the App Store.